Brasil Capim Branco — Alibi Coffee Co. The intense caramel & chocolate flavor perfectly balances the soft strawberry acidity in this wonderful Brasilian coffee. Altitude: 1100 m. a. s. l.
Great coffee starts with the producer whose family likely has spent generations perfecting their approach to farming the highest quality coffee possible. Fazenda Capim Branco has been in the Andrade family since 1901 and is one of the oldest specialty coffee farms in Brasil. It is located near Carmo de Paranaiba in the high, green Cerrado Mineiro in the north of Minas Gerais state, on the border with the State of Bahia. It is Brasil’s first coffee-producing region to win Designation of Origin status, giving it similar stature to famous wine-producing regions. The Cerrado Mineiro region ranges from 1,100 to 1,250 metres above sea level, providing ideal conditions for coffee production due to the perfect balance of wet and dry seasons. The soils at Fazenda Capim Branco are volcanic and much of the farm is planted with the Yellow Catuaí varietal, which thrives in this environment. Attentive stewardship, such as that executed by the Andrade family, produces uniform blossoming and maturation, creating excellent conditions for processing the coffee using the natural method. In this case, ripe cherries are dried on the patio without having been pulped, producing a sweet, fruity coffee. Once the beans reach the desired humidity level, they are dry-milled to remove the dried pulp and parchment and then sorted and screened for export. 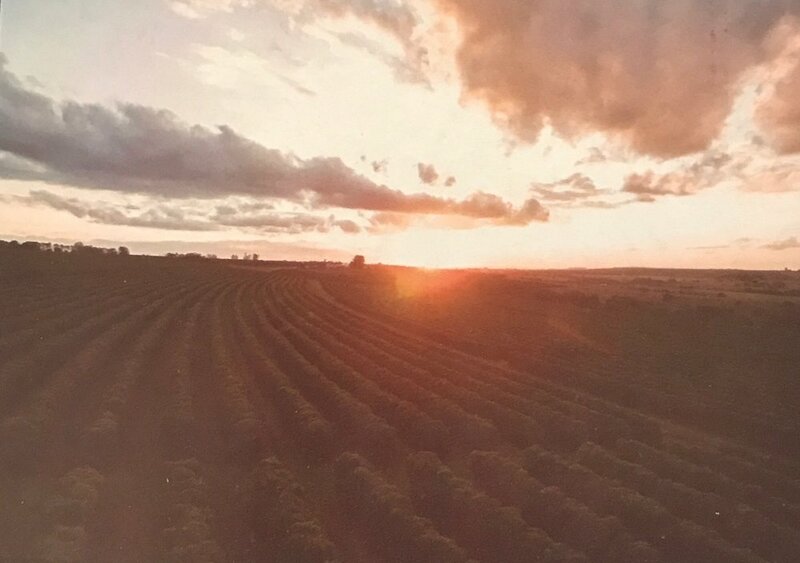 Combined with the natural conditions of the region, meticulous crop management, forward-thinking crop planning and post-harvest selection, the final result from all Andrade family farms is excellent quality, award-winning coffee, appreciated worldwide.